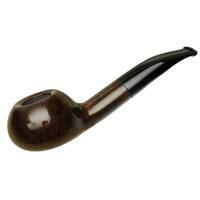 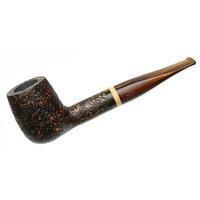 This solid, stout-bowled take on the straight Billiard comes to us in the Sun series. 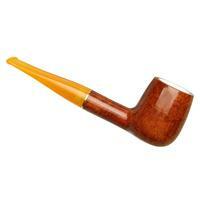 Polished and finished in a warm, medium contrast stain, it's accented by a matching brass band and orange acrylic stem. 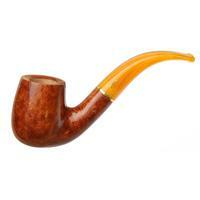 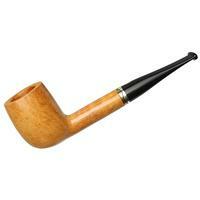 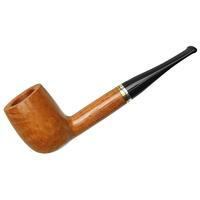 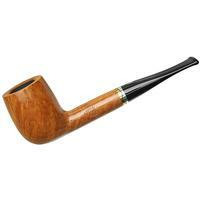 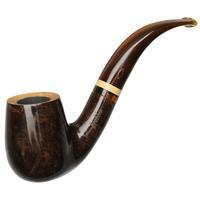 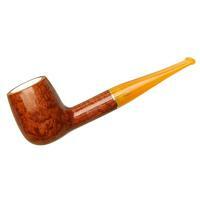 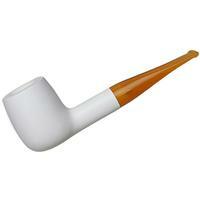 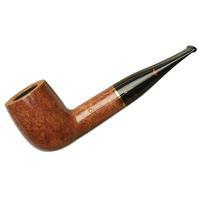 The most interesting feature, though, is the meerschaum chamber.